Rand McNally's industry software is used by 91% of the top 100 motor carriers, 75% of IFTA agencies, and is integrated with over 82 transportation management applications. Enterprise mileage & routing software for shippers, carriers, and brokers. Superior data makes a difference. Get truck-specific routing, mileage, and mapping that spans more than 6,930,000 miles of North American truck-attributed roads with 38,500,000 uniquely attributed road segments. Rand McNally’s mileage & routing software features improve the effectiveness of accounting and operations with simple, built-in calculation tools. 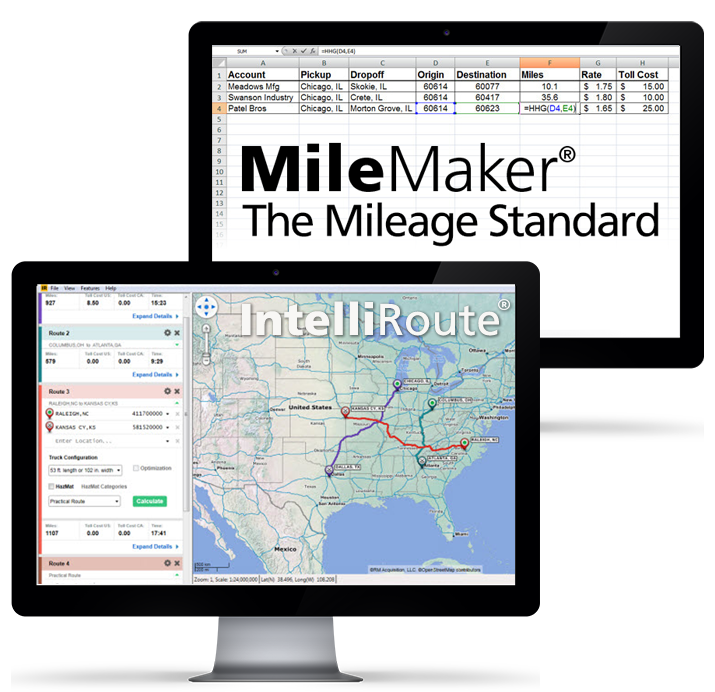 Calculate state-by-state mileage breakdowns, improving back-office efficiency. Use mileages to audit fuel tax records and drivers’ logs, calculate driver pay, and confirm bills of lading. Customized routing can reduce out-of-route miles, saving fuel and minimizing costly tickets. Negotiate rates using HHG mileages or other options with more than 10 billion possible mileage configurations.